What is Agranulocytosis? is a medical term used when the bone marrow fails to form granulocytes? Granulocytes, which consist mostly of neutrophils, are a type of white blood cell that is responsible for fighting infection. The body lacking granulocytes or neutrophils will be susceptible to infection. Under normal circumstances, the bone marrow is able to form 1,500 neutrophils per microliter of blood. Whereas in Agranulocytosis, absolute neutrophil counts of less than 100 neutrophils per microliter of blood. Under conditions of low neutrophils, mild infections can develop into serious infections. Microbes or harmless germs can develop and become dangerous for the body. Agranulocytosis is a fairly serious condition. If not treated immediately can cause sepsis and death. People who experience Agranulocytosis will be susceptible to infection because of the lack of white blood cells responsible for fighting bacterial attacks. Thrush that does not improve. Boils arise on the skin. Low blood pressure or hypotension. Agranulocytosis can occur due to birth defects (congenital) or acquired due to illness, drugs, and medical procedures. Congenital agranulocytosis is caused by a rare genetic disorder, namely Kostmann's syndrome. This disorder is passed on to children from parents. A study shows that as many as 70 percents of cases of Agranulocytosis are related to the use of antipsychotic drugs (eg clozapine), antimalarials, anti-inflammatory, and antithyroid drugs (eg carbimazole). Autoimmune conditions, such as lupus and rheumatoid arthritis. Diseases affecting the bone marrow, such as aplastic anemia, leukemia, and myelodysplasia syndrome. The act of chemotherapy and bone marrow transplant. Exposure to hazardous chemicals, such as arsenic or mercury. Drugs, such as antipsychotic drugs, malaria drugs (such as quinine pills), NSAIDs, and hyperthyroid drugs (eg thiamazole). The doctor will examine the patient's medical history and do a physical examination. When suspected of Agranulocytosis, the doctor will do a complete blood cell count and absolute neutrophil count to check the total blood cell count, especially white blood cells. 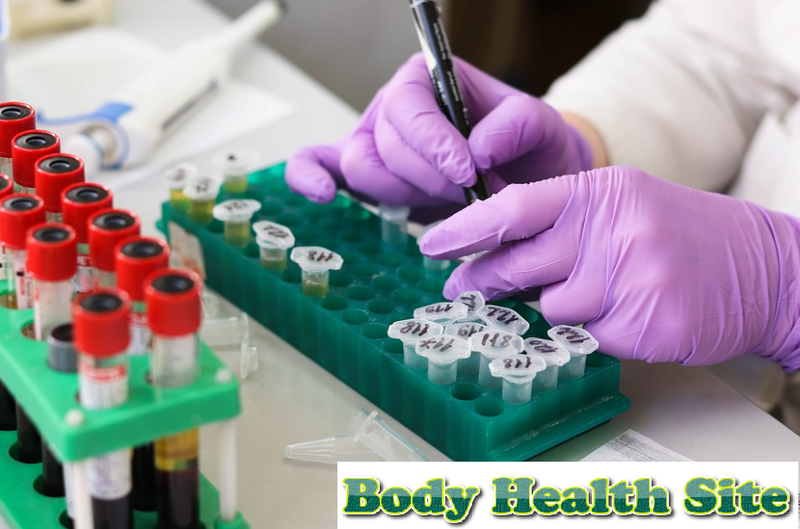 Blood test results are used to ensure the next diagnostic action. Other tests aim to determine the causes of Agranulocytosis such as examination of bone marrow aspiration and bone marrow biopsy, ie blood samples and tissue from the pelvic region bone. Bone marrow is one of the places where blood cells are produced. If a genetic disease is suspected, the doctor will ask for a genetic examination. Infection that occurs in Agranulocytosis is treated using antibiotics. Antibiotics prescribed by a doctor will be given based on the severity of the infection in the patient. Sometimes antibiotics have been given before the infection, which aims to prevent infection. In treating Agranulocytosis, it is important to know the cause of Agranulocytosis itself, so that it can be handled appropriately. For example, if suspected of Agranulocytosis due to malaria drugs, will be given a substitute for the drug. If necessary, treatment can be stopped temporarily. Granulocyte colony-stimulating factor (G-CSF). This method is done by injecting a hormone that stimulates the bone marrow to produce more granulocytes. Injecting G-CSF is usually given by injection under the skin (subcutaneously) in patients with Agranulocytosis due to chemotherapy drugs. An example of G-CSF is filgrastim. Immunosuppressants. If Agranulocytosis is caused by an autoimmune condition, namely the presence of an immune system that attacks the body itself, then a drug that can suppress the body's immunity will be given. For example corticosteroids. Bone marrow transplant. In the case of Agranulocytosis which can no longer be treated through regular treatment, a bone marrow transplant can be an option. This method generally provides the best results for patients under 40 years of age with the function of other organs such as the heart, kidneys, and good liver. A bone marrow transplant can be done in leukemia patients. Patients with Agranulocytosis are advised not to be in a crowded situation, this is to minimize the risk of infection. Patients are also advised to avoid foods that have the potential to be exposed to bacteria, such as fruits or vegetables that are not washed or peeled cleanly.